We are excited to announce a unique learning and service opportunity for both BCC and Lettered Streets Covenant Church next March in France. Hosted by Bellingham natives and ECC Serve Globally regional coordinators for Russia and Europe John and Letha Kerl, we have been invited to spend twelve days around the city of Lyon and the central plateau of France, learning about the early church (Lyon was one of the first centers of Christianity in Western Europe outside of Rome) and then taking part in a service project in the central plateau. Space on this trip is limited, so please let us know soon if you're interested in learning more about it by filling out our brief online form. 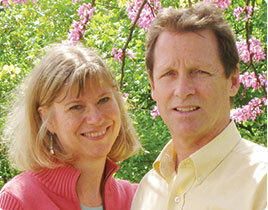 Letha and I would like to extend an invitation to you to prayerfully consider the possibility of joining us in Lyon, France for an extraordinary opportunity to see our place of ministry and to gain understanding of the history of the Church in France and to better understand its current place in today’s culture. We are putting together a twelve-day experiential visit to Lyon and to the central plateau of France from March 7th to 19th 2018. Upon your arrival we will take three days to explore Lyon, visiting many historical places relevant to the history of the church in Europe. Lyon was founded more than 2,000 years ago by the Romans, just before the birth of Christ. It became the first stronghold of Christianity in Western Europe after Rome. We will look at the history of the church in France and understand more deeply the history of this complicated country. We will worship in the French Free Church that Letha and I attend. We will then proceed to the Vivarais-Lignon Plateau, located an hour and a half southwest of Lyon, where we will partake in a work project at La Costette, a camp where the French Free Church has many activities. We will be collaborating with the local French Free Church in a work project for the camp. This project will be the repainting of their main meeting hall and helping the camp get ready for the next season of campers. This region was first touched by the Reformation as early as 1535. We will visit the Museum of Chambon-sur-Lignon where the French government honors the Christian activists of the plateau in helping hundreds of Jewish children to escape certain death at the hands of the Nazi regime. 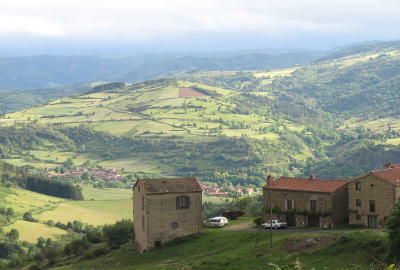 We will also visit the historical city of Le-Puy-en-Velay. Here is the challenge. Space is limited. We very much would like to have this be a joint Bellingham Covenant and Lettered Streets adventure. The cost of this experience is $1,125 plus air fare ($800-$1,000) for a total of approximately $2,000 per person. Departure from Vancouver will be March 7th, arriving in Lyon on March 8th. Departure will be Sunday evening, March 18th, arriving in Vancouver on March 19th. If this sounds interesting to you and you'd like more information, please fill out our online form today and we will schedule an informational meeting soon. Contact Steven Shetterly (steven@bellinghamcov.org) with any questions you might have.